https://github.com/linux-audit "auditd is the userspace component to the Linux Auditing System. It's responsible for writing audit records to the disk. Viewing the logs is done with the ausearch or aureport utilities." 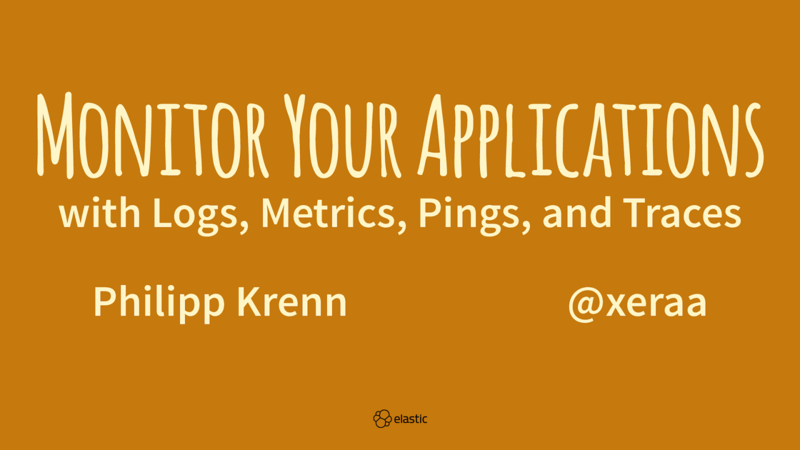 View Monitor Your Applications with Logs, Metrics, Pings, and Traces (Workshop). "With microservices every outage is like a murder mystery" is a common complaint. But it doesn't have to be! This workshop gives an introduction on how to monitor distributed applications with open source tools and in particular the Elastic Stack (previously ELK Stack). Application metrics: Get the information from the applications' metrics and health endpoints via REST or JMX. Request tracing: Use Elastic APM to trace requests through a distributed system and show where your slow calls are spending their time.